Danilo and Gianni Della Camera, proprietors of the Fattoria Saltecchio estate as well as the Fassati trademark, were born in the Tuscan city of Montepulciano. Their father Augusto was already the owner of vineyard land which he utilized to produce wine for friends and for family use. But his passion for wine was so great that he continued to increase his holdings with new purchases and plantings until, in the 1980’s, not having the possibility of fermenting on his such own large quantities of grapes, he began conferring the crop to the local cooperative winery. Without ever abandoning, however, his dream of one day having his own cellar. In the following period, the Della Camera brothers shifted their attention towards a complete different sector, opening in fact a firm for the care and maintenance of plants and vegetation along roads and highways. This, nonetheless, did not distract them from theirlove for wine which remained so strong that, in January of 2015, they seized the opportunity which had been offered them and purchased one of the historic cellars of Montepulciano: Fassati. And here the dream began to become a concrete reality! They added with this move 110 new vineyard acres (44 hectares) to the 105 acres (42 hectares) they already owned. With this purchase, they also became owners of a productive plant equipped with fermenting and aging cellars, storage space, and a bottling line. 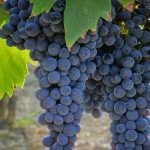 For this reason they have increased their commitment to the vineyard work and their attention to the cellar: important restructuring work has begun in the aging area. 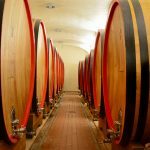 The acquisition of new Slavonian oak casks with a capacity of over 50,000 gallons (2000 hectoliters) in varying sizes ranging from 1300 to 1850 and 2600 gallons (50-70-100 hectoliters) guarantees that the aging of the wine will be carried out in the best possible way. These are only the first steps which have been studied and taken, taken, and the brothers are well aware that they live and work in a beautiful spot, one with a rich history and much culture. A place deserving of the maximum attention to its vines and their fruit.